Many people discuss "money making" items when shopping. This refers to items that generally have additional benefits "store cash" that equates to more than the cost of the item. So how do you make money couponing? 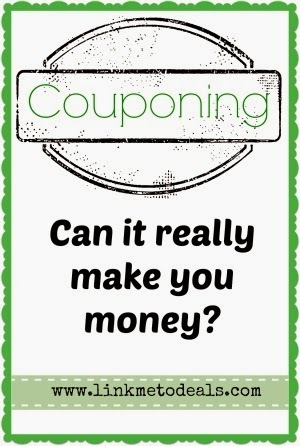 There are a few ways to make money couponing. 1) The first is when you get money back or money toward a future purchase when you buy an item. This only MAKES you money if the amount is more than the cost you pay for the item. Otherwise, you're just getting incentive to return and spend MORE money. 2) The second way to make money couponing is to buy things that are deeply discounted (but not free) and then resell them. Deodorant, diabetes readers, and other items that have a bit of a shelf life have a resale value (albeit small) on swap sites and such. So if you get toothbrushes for $.25 and have enough coupons to make a "lot" of them, then you can later sell them for $1 for 3 new toothbrushes (show the retail price) so you don't make much but you can make some money. 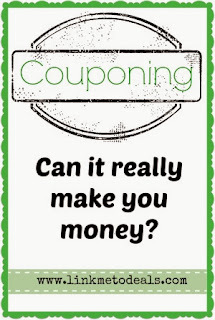 3) The third way to make money with coupons is when a coupon is doubled on an item that is less than $1 (most places only double coupons up to $1) and the store will apply the excess to another item, bringing down your total bill. Not all stores do this but many do. Often you can do price comparison, and if the second store honors the price you can save more money. Do you coupon? What are your couponing rules?